Government austerity programmes are worsening the global economic crisis. 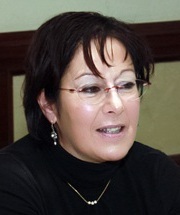 Rosa Pavanelli is the General-Secretary of Public Services International (PSI). She outlines the effects austerity programmes are having on national economies and presents the labour movement's alternatives. Duration: 9' 58"